What's New: Tarte Cosmetics, Sephora Collection and The Estée Edit | Top Beauty Blog in the Philippines covering Makeup Reviews, Swatches, Skincare and More! Three new great and exiting products from Tarte Cosmetics, Sephora Collection and The Estée Edit worth giving a try . . .
Tarte Rainforest of the Sea Skin Twinkle Lighting Palette $42.00 - Brighten up your complexion with a radiant “twinkle” using this sleek, strobing and highlighting palette. Featuring a versatile trio of silky perfecting powders, you can filter and reflect light for a soft focus glow. The middle Filtered Light shade is your go-to setting powder in a universal matte sand that brightens and corrects any darkness under the eyes. Paired with two full-size, luminous perfecting powders, they’re perfect for illuminating the contours of the face for a natural-looking glow that flatters all skintones. 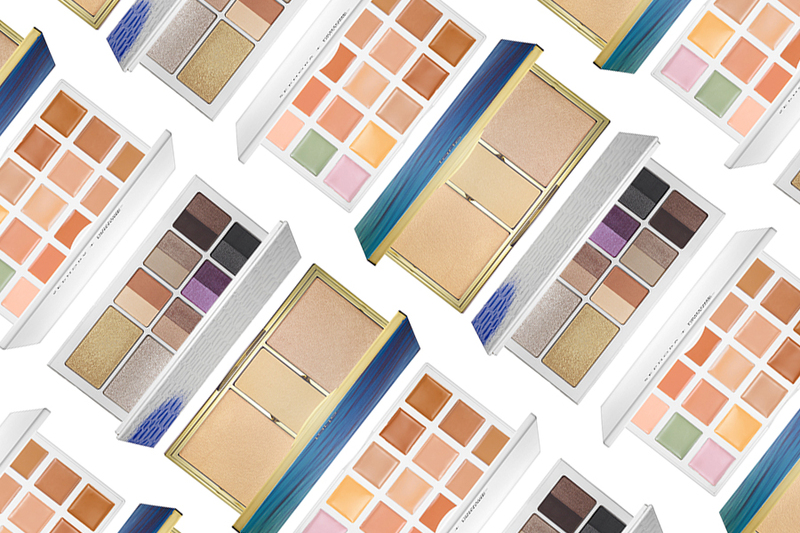 The Estée Edit by Estée Lauder Eyeshadow Palette $48.00 - Use these fourteen shades to shape, highlight, and transform your eyes with satin, pearl, and sparkle finishes. Plus, The Edit EyeShadow Palette has two shade transformers with Black Light Technology for a glistening glow-in-the-dark effect. Use the transformer shades on top of any shadow for extra shimmer during the day and a look that turns up the intensity under black light. All shadows in the eye shadow palette are brush and fingertip friendly. Sephora + Pantone Universe Correct + Conceal Palette $49.00 - Each of these palettes is targeted toward a main areas of concern for color correcting: dark circles, redness, hyperpigmentation, dullness, and brightening. The shades also conceal for true color correction. Each palette is organized for three different skintones and includes a handy booklet with application instructions, tips, and tricks from the Sephora Pro team. so great having products all in 1! Ma che belle che sono queste palette!!! Let's flw each other! Flw me and tell about this i'll flw back! I love Pantone colaboration products!